Save the Children is committed to achieving breakthroughs for children in Tanzania, including violence no longer being tolerated against children. Save the Children Tanzania implements child protection programming in five regions of Tanzania, focusing on prevention of violence against children, child protection system strengthening and assisting children who are on the move in a humanitarian setting (Refugee Response). The Child Protection Specialist will advance this work to ensure it is technically sound and in line with the global guidance and relevant Common Aprroaches. Save the Children is committed to achieving breakthroughs for children in Tanzania including no child dying before their fifth birthday. Save the Children Tanzania implements Health and Nutrition programming in six regions of Tanzania, focusing on Maternal Newborn Health, Mother Infant Young Child Nutrition, and Child Health. 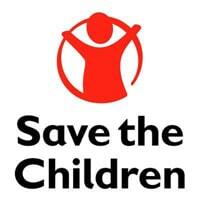 In previous years, Save the Children’s portfolio has also included work in the areas of HIV/AIDS and Adolescent Health. The Health and Nutrition Specialist will advance our work by ensuring Save the Children’s work in Tanzania is in line with global standards, national policies/guidelines, is technically sound and that we apply evidenced-based approaches to improving children’s and women’s health. The Health and Nutrition Specialist will provide this technical support to staff and partners, including the Government of Tanzania. She/he will work with the Director of Program Development and Quality and other technical specialists (Education, Child Rights Governance, Child Protection) to position and grow the Health and Nutrition portfolio in line with Save the Children Tanzania’s strategic plan for 2019-21.